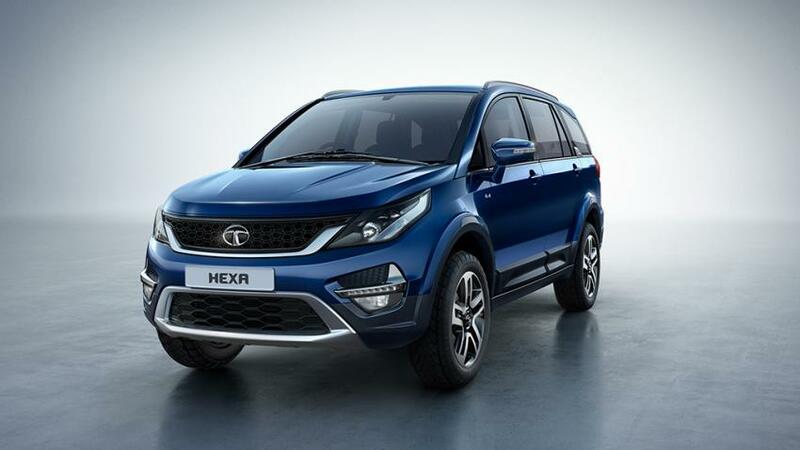 Tata Motors, the home-grown automaker on Thursday officially launched the 2019 edition of Tata Hexa Lifestyle SUV in India. Priced at Rs 12.99 Lakh (ex-showroom), the updated Tata Hexa comes with cosmetic updates and new features while the mechanical front remains untouched. The updated version of Hexa is now available in 5 exciting shades along with dual tone roof on the top end variants in 2 shades – Infinity Black and Titanium Grey.Tata 45X Premium Urban Car Officially Named As Altroz; To Be Launched By Mid 2019. The new 2019 edition of Hexa is based on Impact Design philosophy. The bold yet stylish character of the lifestyle SUV is enhanced dual tone roof and multiple alloy options offered on all the trim levels. The SUV also gets 7-inch touchscreen infotainment system with Android Auto connectivity across all variants. Under the hood, the new 2019 Tata Hexa comes with 2.2-litre VARICOR diesel engine, however, in two different states of tune. The VARICOR 320 makes 148 bhp of max power with 320Nm of peak torque whereas VARICOR 400 is tuned to churn out 154bhp and 400Nm of power figures. Transmission duties are carried out by 6-speed manual gearbox as standard along with automatic unit as optional. Tata Harrier Premium SUV Launched in India; Prices Start From Rs 12.69 Lakh.